Under federal law, student loan borrowers may be eligible to have their debts discharged if they prove the school they attended deceived them with false promises related to their future careers. However, the measure has been used only sparingly in the past and few clear rules outline the forgiveness process. Now, after nearly two decades on the books, federal officials are finally getting around to crafting rules that could remove one roadblock for students seeking relief. 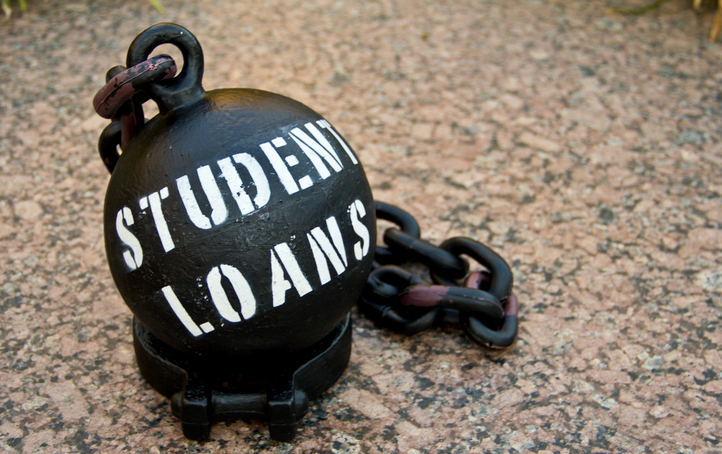 The Wall Street Journal reports that more than 7,500 borrowers, most who attended for-profit schools, have applied to have more than $164 million in student loans discharged through the Defense to Repayment law in the past six months. Education Department officials and advocates say the influx in applications for discharge are likely the result of a string of investigations into for-profit college recruitment tactics. So far, the Department of Education has agreed to cancel nearly $28 million of that debt for 1,300 former students of now defunct for-profit chain Corinthian Colleges. The college, which denied allegations of illegal recruitment tactics, closed after federal investigators found evidence of deceptive practices and withheld federal funds for a period of time. Since then, the Defense of Repayment rule, which sat mostly dormant for two decades, has been thrust into the spotlight by advocates looking to provide students with relief from their debt obligations tied to the for-profit chain. According to the Department of Education, under the law, students may be eligible for loan forgiveness of any federal Direct Loans taken out to attend a school if that school committed fraud by doing something or failing to do something, or otherwise violated applicable state law related to the loans or the educational services paid for. While the rules are fairly straightforward, actually proving the hardship is difficult and often unclear. Education Department officials tell the WSJ that the agency failed to draft rules after the law was passed in the early 1990s. Until last year, only five applications have been submitted to the Department, and just three were granted. That means when students submit their claims, it’s unclear what proof is needed to demonstrate a school committed fraud, according to the Wall Street Journal. Now to streamline the process, and ensure that students are receiving the help they need, the Department of Education recently embarked on a months-long negotiation with representatives of students, schools, and lenders to set clearer stipulations for discharges, the Wall Street Journal reports. Ted Mitchell, undersecretary for the Department, says that officials are still working to grasp the potential scope – and cost – of the law, noting that it is “new territory” for the agency. While the Department works toward clearer outlines for granting discharges, some in the college industry warn that too lax of rules could open the floodgates for students simply looking for relief where no fraud occurred. “It gets much more difficult when students say, ‘Well, I was told this would improve my job prospects.… I don’t have a job, and I’m mad about it, and I think I’m defrauded,’” Andrew Kelly of the American Enterprise Institute tells the WSJ.